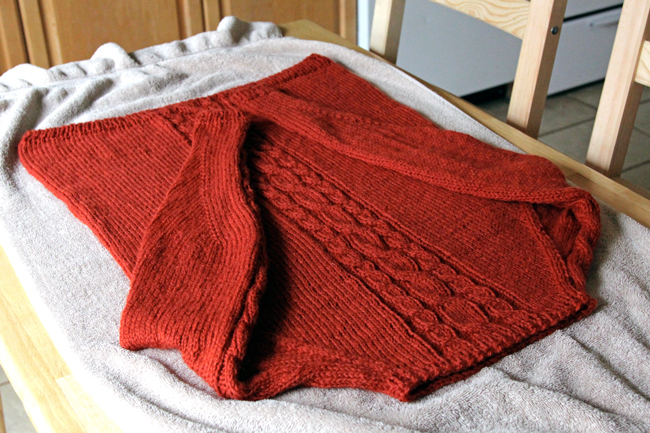 We left off last week with our sweaters all but complete, with just the underarms left to close up. 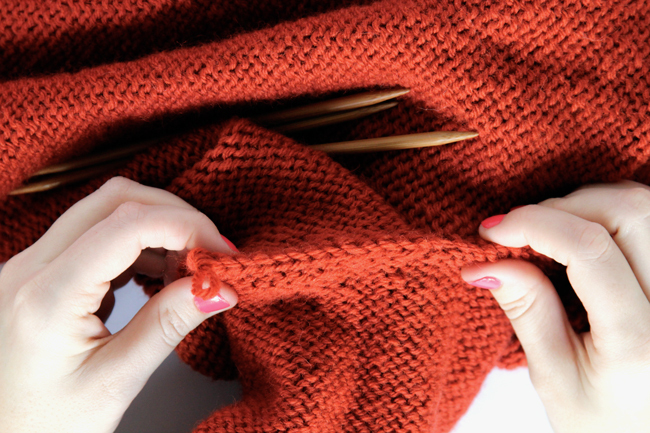 To close the underarm gaps, we’re going to use something called a three needle bind off. And guess what? It’s really straightforward! 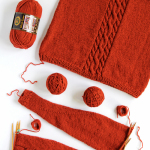 For this step, you’ll need three knitting needles (or at least 1 circular set and an additional straight needle or three straight needles, which don’t have to be double pointed). 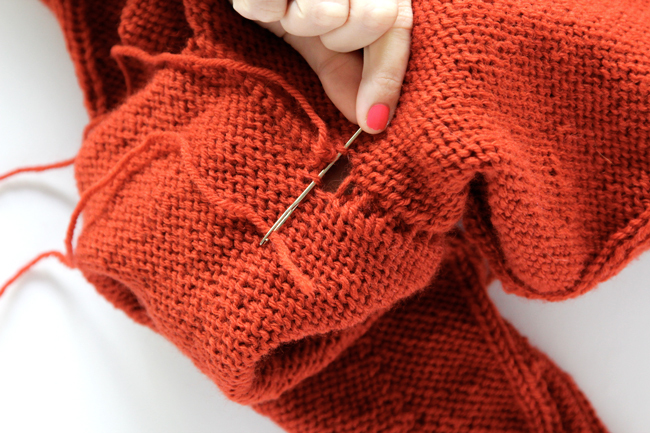 Start by turning your sweater inside out and transferring half of your underarm stitches from your scrap yarn to two needles (or one set of circulars). Holding the two needles in your non-dominant (left) hand, put your working needle through the first loop on each of the two needles, as shown. 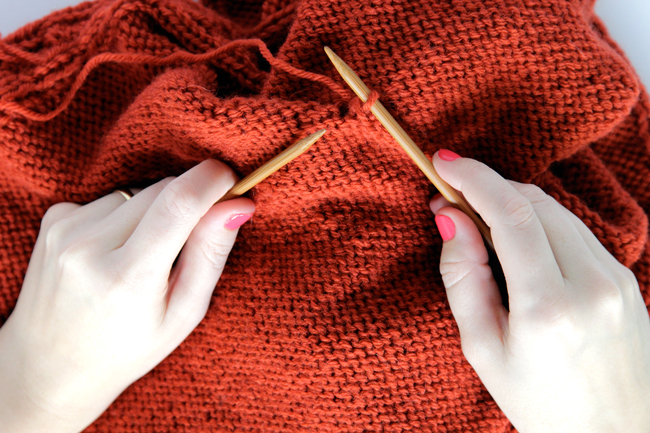 Essentially, you’re working two parallel rows of knitting simultaneously when you’re working a three needle bind off. 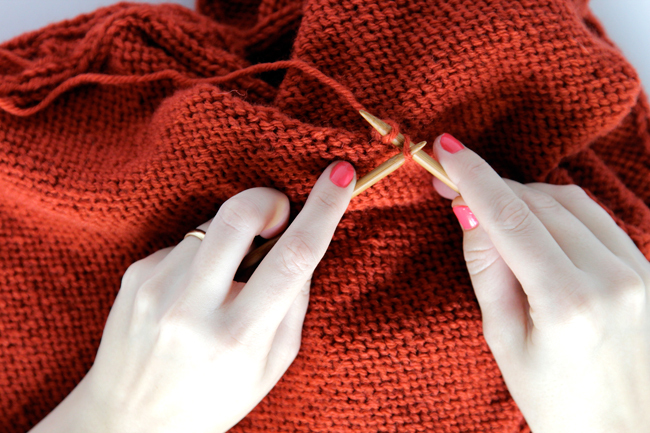 Draw the loop you’ve knit back through the two loops at once, and sweep the two loops off the ends of the lefthand needles. Work one more set of two stitches, at which time you’ll have two loops on your right (working) needle. 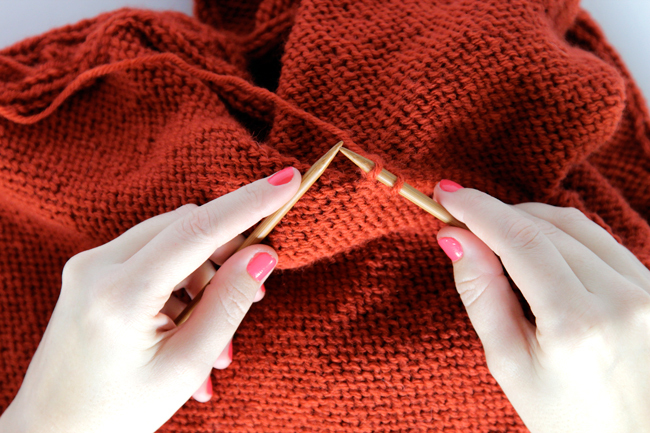 Just like you’re working a regular old bind off, pass the first loop you knit over the second, leaving the second on your working needle. 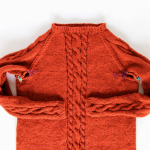 Continue binding off in this way (knitting one loop from each lefthand needle together, passing one loop over the other on the righthand needle, etc.) until you have just two loops left. Pass the farthest loop over the other loop. 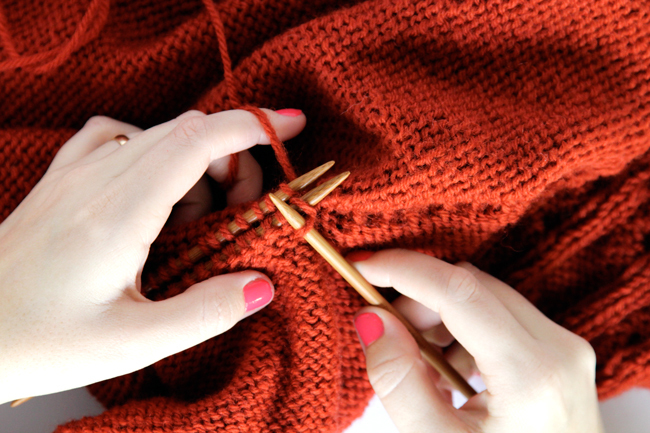 When you’re done working your 3 needle bind off, draw the yarn’s tail through the single loop that’s left to secure. 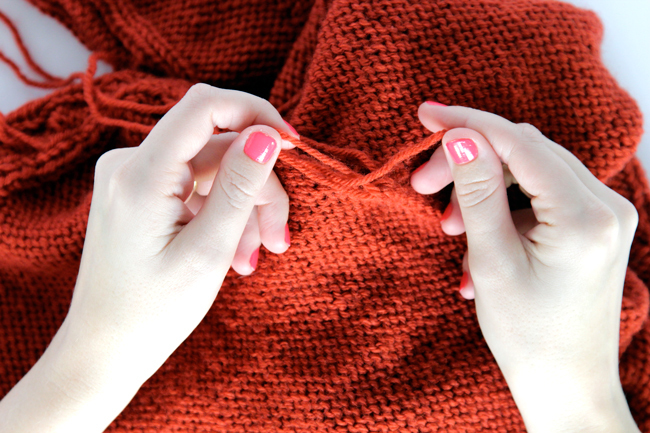 Use the rest of your yarn’s tail to sew closed the holes on either end of your three needle bind off stitches, and weave in ends to finish. 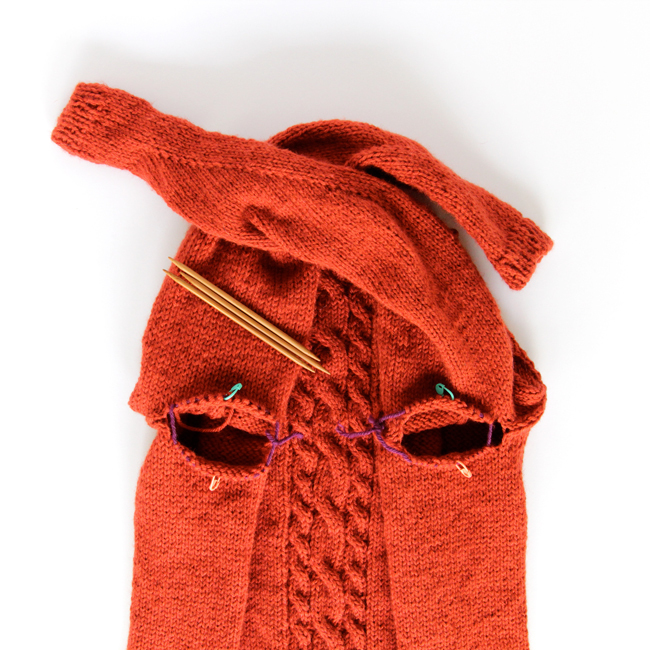 To see what a finished 3 needle bind off looks like, turn your sweater inside out and compare it the photo at the top of this post. 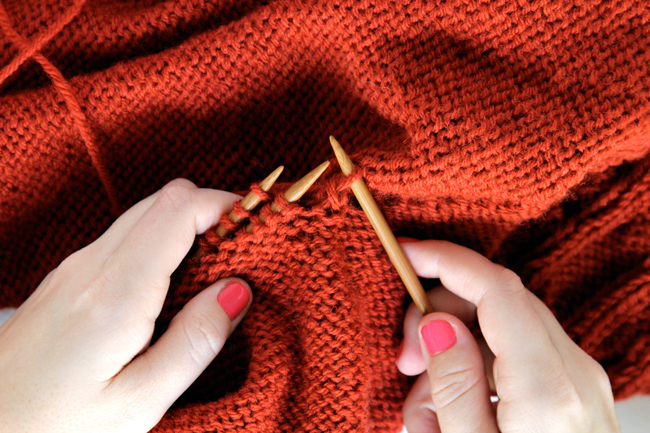 When your ends are all weaved in, make sure to take the time to block your sweater. Blocking is great to help even out your stitches if they’re a little uneven and it helps with the fit too. As tedious as it can be, I always block my finished knitting, particularly if it’s something I’m going to wear. 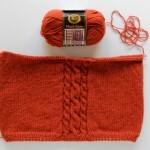 If you’ve never blocked your knitting before, you can take a look at my basic blocking tutorial. Last chance for the Lion Brand giveaway!! Since this is the last tutorial in this really fun (if I say so myself!) 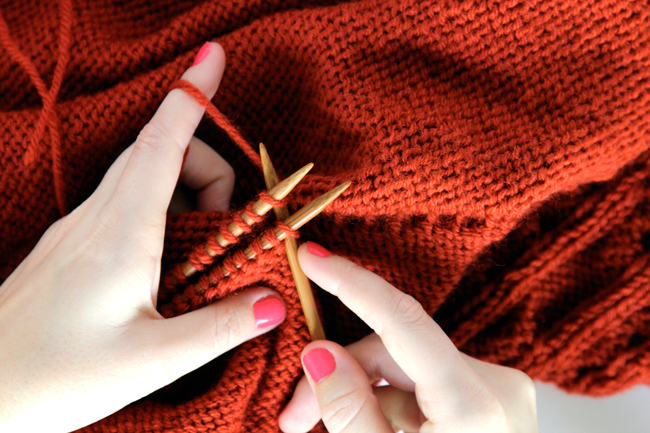 sweater knit along, we’re officially at last call on the Lion Brand Yarn giveaway. Lion Brand has been an amazing sponsor and source for support in this KAL, and I loved the chance to design with their yarn. 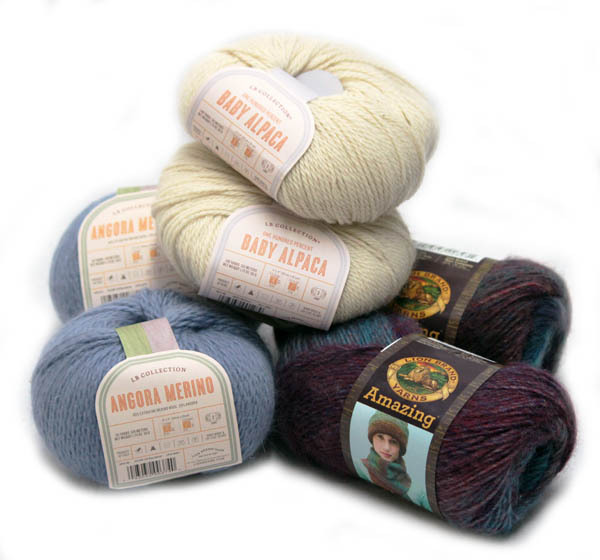 The giveaway includes skeins of Lion Brand’s Baby Alpaca yarn, their Angora Merino and Amazing. You can enter the giveaway in SO many ways. For every phase of the KAL you’ve completed, you get another entry. If you’re in the Ravelry group, you get an entry. 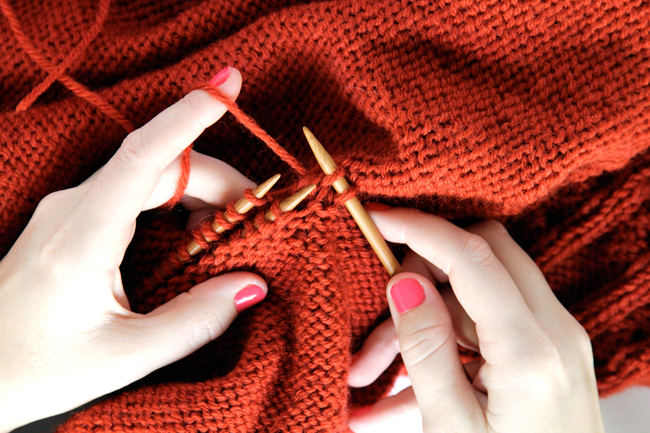 You also get an entry whenever you post with #handsoccupiedkal. I feel like Oprah right now!! And since I know some of you are still catching up on past days of the KAL I’ve decided to extend the KAL giveaway through the end of November. 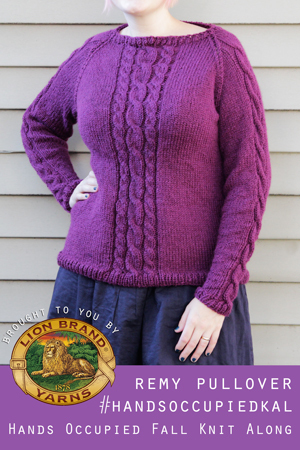 At midnight on 12/1/14, entries will close for the Lion Brand giveaway, but that gives you a couple more weeks to finish your sweaters and earn tons of chances to win the giveaway. As an added incentive to finish your sweaters by the end of the month, I’ve made the entry option for “OMG I FINISHED MY SWEATER” worth a whopping 5 entries, more than any other. 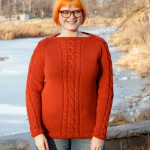 Because hey, finishing an entire sweater is a pretty amazing accomplishment in my book! 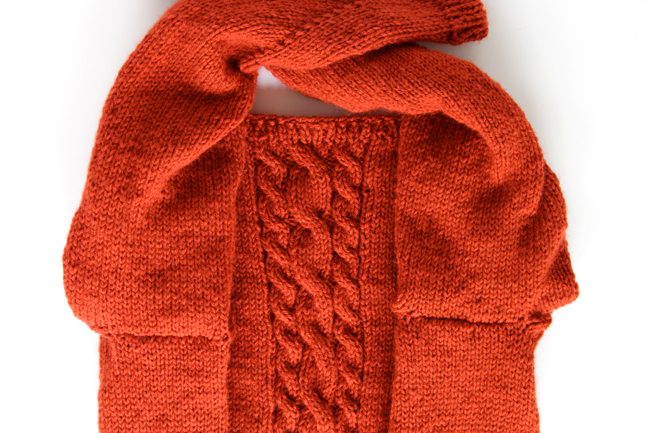 The Remy Pullover knit along is brought to you by Lion Brand Yarns. Check out Lion Brand on social media: Facebook / Twitter / Instagram / Pinterest. 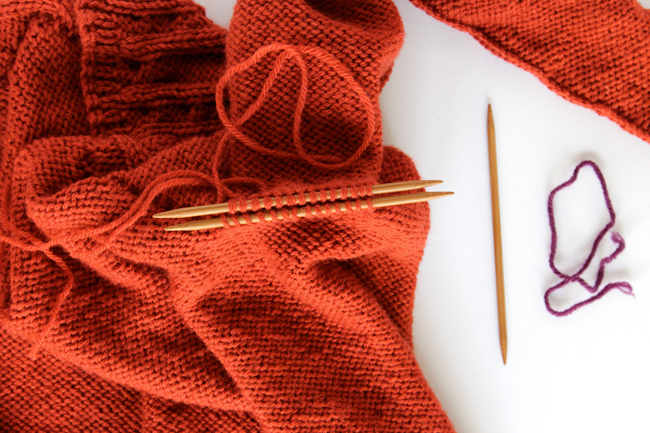 Knit Along Day 2: Sleeve time! Oooooooh! It’s Lion Brand’s fancy yarns! Now I hope I win even more!!! Better keep knitting to get more entries! this is my first ever raglan and I managed the the decreases because it is super-simply explained with your pattern. Thank you! I know this is super old but I want you to know it is still in good use for us begginers!